Karten Space has been chosen as the best entrepreneurial idea in the VI edition of Yuzz awards, the national programme for young entrepreneurs. Yuzz is a competition that offers training, support and advice to young people under 30 years old that have innovative projects. 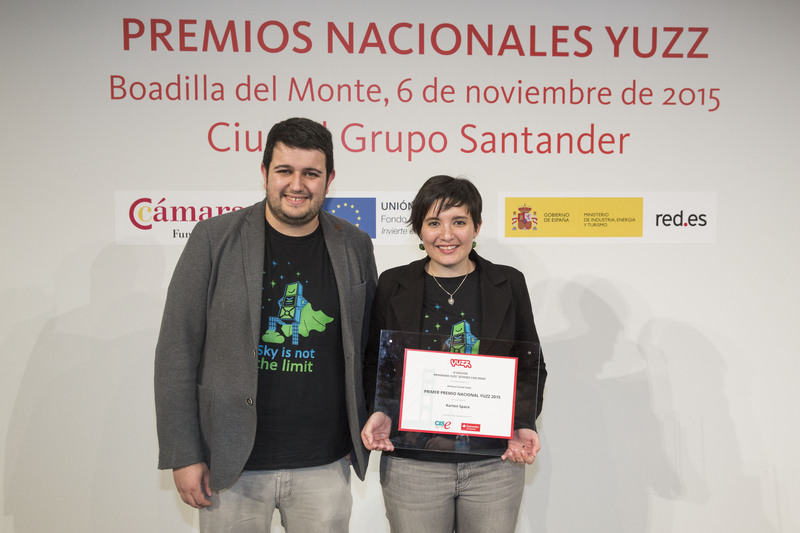 This year, there were more than 710 project in 40 different work centers where the programme, sponsored by Santander Universities Foundation, was conducted from March to July 2015. In September, Karten Space was recognised as the best entrepreneurial project in Rey Juan Carlos University center, and had the opportunity to travel to Sillicon Valley with the winners of the other centers. Was the 6 of November when the work accomplished during the last months was pleasantly recognized and Karten Space became the overall winner of Yuzz national competition.